* Peel the beans. 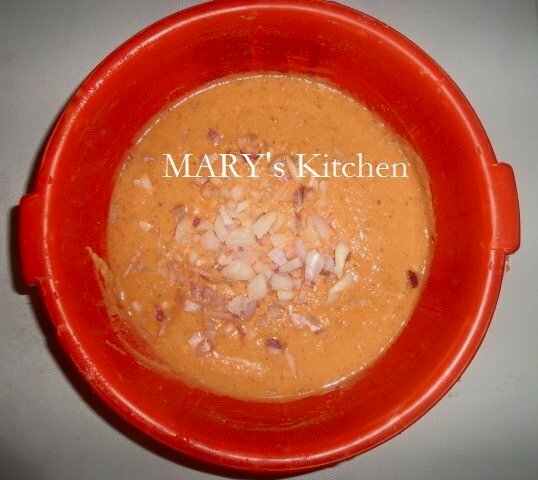 Blend with the peppers and 1 onion. Make sure not to add too much water while blending; just enough to keep the grinder/blender running. * Chop the other onion finely and pour into the paste. Add the seasoning and salt to taste. Stir continously for 7-10minutes. * Heat up the oil. You can check if the oil is ready for frying by spooning about 1tsp of the past into the hot oil. If it floats immediately, the oil is hot enough. 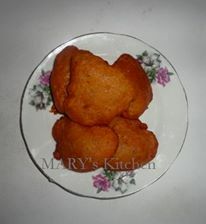 * Fry the akara on low heat till golden brown. Gently spoon the paste into the oil. Don’t load the oil with too much per time. 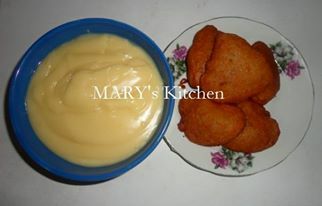 * Serve with pap or oatmeal.